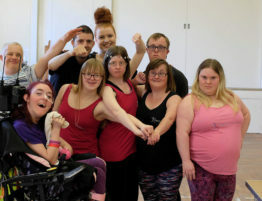 DanceSyndrome is taking its latest performance piece to this year’s Edinburgh Fringe Festival thanks to financial support from Chorley based business Empower Housing Association. 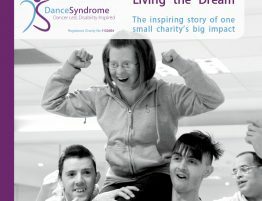 In 2017, the DanceSyndrome team performed their debut performance at the Edinburgh Fringe after a successful fundraising campaign to fund the trip. The performances were so successful and got such an amazing response from the audiences that the dancers wanted to return in 2018. In order for the 2018 trip to be successful, DanceSyndrome needed sponsorship from a local business with similar objectives. Empower Housing Association are specialists in providing homes for people with disabilities and it was felt that the two organisations’ core ideas were a perfect match; both focus on equality for people with disabilities and believe that disability should not present barriers to living a full life. 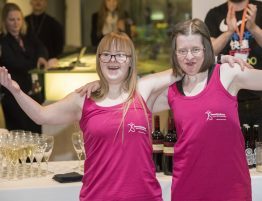 Empower Housing Association wanted to support DanceSyndrome to take those core values to a bigger audience on an international stage, so they decided to sponsor the trip to Edinburgh. 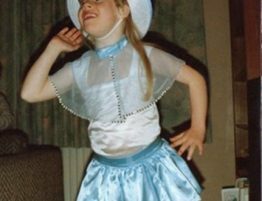 As a result of the sponsorship and other fundraising efforts, DanceSyndrome has been able to confirm a slot at the Fringe Festival and will be performing “Lit aDrift” on Thursday 16th, Friday 17th and Saturday 18th August at The Space at Surgeons Hall. This expands on last year’s performances, providing an extra date, something which the dancers specifically asked for because they enjoyed the experience so much last year. 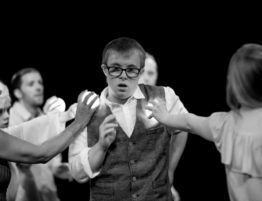 Performance is a vital way for the dancers to communicate key messages about inclusion, teamwork and achievement, as well as challenging audience perceptions about people with learning disabilities, so they love to have as many opportunities to perform as possible! For more information about DanceSyndrome’s trip to Edinburgh, please visit our events page. If you would like to donate to the campaign, please visit our Just Giving page.